Now that Spring feels finally here – the giant snow pile out my north of Boston apartment finally melted – I feel the need for a different kind of book. Like many of you, different seasons of the year make me want different kinds of books. In the winter I like to hunker down with a long, multi-book series and summer brings the annual “beach” reads and the time where I sneak some adult fiction into YA-to-read pile. 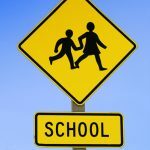 The return of school in the fall makes me gravitate towards the boarding school story but what about spring? When it starts to get warmer, it’s easy to ditch the book to head outside to enjoy the not so cold evenings. Breaking my winter hibernation born of cold weather, feet upon feet of snow, makes my concentration wander so I tend to turn to books that I can read in a day or two. There’s nothing like starting and finishing a book on rainy spring day to make you feel accomplished but not overwhelmed. Here’s a list of recent books I’ve read in a day or maybe two or three. 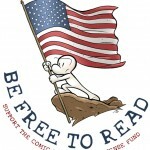 Many are graphic novels which I find great for my spring distraction. 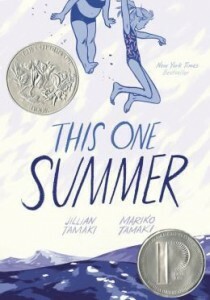 This One Summer by Mariko Tamaki and Jillian Tamaki (2015 Caldecott and Printz honors): This book does an amazing job of presenting a chapter in the lives of two friends. They are growing up but also apart from the friendship that they thought wouldn’t change. The gorgeous and evocative art, done in shades of blue, makes you long for summer but also revel in whatever weather you’re in, letting you melt into the page. Seconds by Bryan Lee O’Malley (2015 Great Graphic Novel for Teens): The bright colors of the art and acceleration of the plot makes this a great one day read. You will get sucked in by Katie’s seemingly perfect way to get rid of her mistakes – the magic mushrooms that allow her to fix anything – and tearing through the book as fast as you can as all of her changed mistakes come back to haunt her at the end. 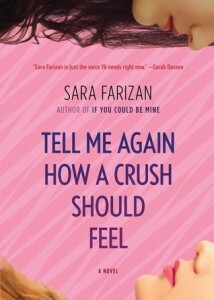 Tell Me Again How a Crush Should Feel by Sara Farizan: While this does have the school drama I like to read during the fall, it also has a perfect balance of humor and real issues. Leila struggles with her sexuality and the charms of the Saskia, a femme fatale you love to hate. There’s so much to like and admire in Leila; she’s someone relatable while being someone you wish you could be friends with. The romance that develops between her and a friend is sweet, satisfying, and real. When I was the Greatest by Jason Reynolds (2015 Coretta Scott King/John Steptoe New Talent Author Award): You might need a rainy day and a half to finish this one, but it will be worth it. Reynolds’ characters react so realistically to everyday that you will appreciate the honesty of the story of three teen boys in Brooklyn going to a party, getting in a fight, and the consequences of those few hours. A winning story with warmth and humor. Love Letters to the Dead by Ava Dellaira: Featuring a plot that starts with the mystery of what happened the night when Laurel’s sister May died, this book hooks you with Laurel’s letters to dead celebrities and artists. 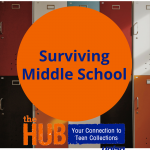 As you learn more and more details of her life and read as she pours out secrets to people who will never hear them, you might find that you’ve been sitting reading all day. Young Avenger Omnibus by Kieron Gillen and Jamie McKelvie: Perfect for a rainy day of laying around and wondering what it would be like if superheroes were on Instagram. Seriously, that happens in this collection. 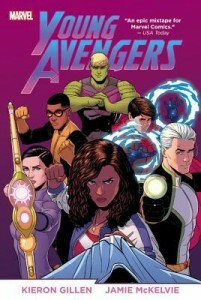 When an alien forces its way in our dimension it’s up to the Young Avengers, some of whom are related to other, more established Avengers, to save the day. Not only is this book fun and features great art, but the characters represent ethnic and LTGBQ diversity. Roller Girl by Victoria Jamieson: This is another book, like This One Summer, that hits that poignant, middle school friendship sweet spot for me. When Astrid falls in love with roller derby and decides to do a summer camp about the sport and her best friend Nicole does dance, Astrid has to learn how to be on her own. Working through friendships and trying new things, this is such a wonderful book for readers. 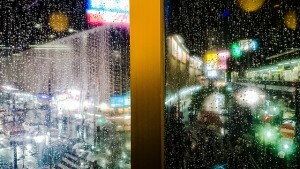 Any other books you can finish in a rainy day that you’d recommend? 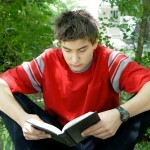 Or does Spring make you want to read some other kind of books?